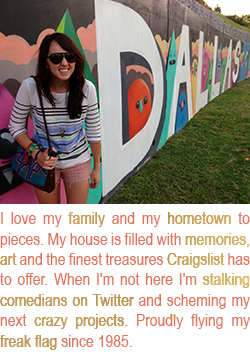 Don't get me wrong about the Jet Set - an international trip to somewhere exotic is one of my favorite treats. But you know what they say about the road, she is a temptress. It's no surprise some of Markus and I's favorite getaways have been right here in Texas. Not long after Markus and I were married, I read the Texas Monthly Bucket List and convinced myself that I needed to check off these great Texas experiences. Many of them were in Marfa and the Big Bend area, so I set my sights on a long weekend trip. A few Christmases later I was thinking about what to get Markus since he is so hard to shop for. I reserved hotel rooms, purchased airline tickets (we flew to Midland from Dallas to knock a big chunk out of the nine hour drive), rented a car and wrapped it all up in a huge box for him to open. His surprise weekend in Marfa was a hit! Here's all the things we enjoyed on our 72 hour trip. Thanks to its place in pop culture, your Marfa experience can begin before you head out west. I read No Country for Old Men before our trip, and it is precedent to watch the movie version in addition to Giant before a trip to Marfa, since they were both filmed in town. A good cinematic start and my trusty guide below should be all the prep you need for a blissful weekend filled with art and adventure! The Holland Hotel in Alpine, Texas - We stayed in this awesome hotel in Alpine instead of in Marfa, where rates can be much higher. This is a really charming and comfortable hotel with a gorgeous lobby and rich history! It is right across from the train tracks, so be sure to use your earplugs that they leave you on the bedside table! Our nights at the Holland Hotel are some of the best nights of sleep I've ever had. There is free breakfast in the morning, which is not anything gourmet but something in your stomach to start the day. Hotel Paisano - This hotel is in Marfa and where James Dean and Elizabeth Taylor stayed while filming Giant. The hotel lobby and bar are gorgeous, as is the courtyard. For a hotel we did not stay at, we really enjoyed spending time here and walking through the attached shops! One of the many, many bizarrely beautiful aluminum boxes. At the Chamberlain exhibit in downtown Marfa. Donald Judd Home Tour - This is a seperate tour of the house Judd kept in Marfa. I really love reading artist biopics and seeing their homes and studios, so I really enjoyed this tour. There are some great examples of his work as well as insight into how he worked, his love for craftsman furniture and turquoise and his library. Star Party at McDonald Observatory - As a city girl, I think I began to wonder if constellations were a myth. I saw them all at the star party and learned the stories behind them as well! We did on our first night in town and it was a great way to take a deep breath and connect with the beauty of big sky country. Using the mega telescopes was a blast! Marfa Lights - I never ever saw the Marfa Lights, but it was really fun to sit out here one night and watch a beautiful sunset, talk to some other travelers and peer through the telescopes. Everyone will ask you if you saw the lights when you get back, so make sure you give it a good college try! Railroad Blues Bar in Alpine - This dive bar in Alpine has hosted the great Texas bands, including our local favorite The O's, and earned a spot on the Bucket List I so dared to accomplish. We loved taking a look around and the bar staff was just as tough and no nonsense like you'd expect, and the picnic tables outside were the perfect spot to drink a Coke and soak in some more sky viewing. Angell Expeditions Jeep Tour - A long weekend wasn't enough time to really do all that we wanted to see in Marfa and also go far into Big Bend. To get a view of everything from a local perspective, I booked a Jeep tour with Angell Expeditions. It was one of my best travel ideas yet! We loved being out in the open space, seeing some of the great canyons and getting a totally different feel of the area than you see inside the "city" of Marfa. I could not get over how small I was and how far I could see out with no obsrtuctions. This little abandoned ice cream truck could be seen miles out. It was a down for anything type of tour, like we were driving around with a friend that lived in the area, so we stopped a few times to take photos of things and even drove through a ghost town on the way home! I loved it. Chinati Hot Springs- This was one of our stops on our Jeep tour per my request and so fun! We loved soaking in the big spring outside and one of the smaller baths in a private hut. I remember sitting in the outdoor spring, taking in the gorgeous view and realizing it doesn't get much better in life. There is a kitchen where we ate our packed lunches and you can stay at the hot springs if you really want to get away from it all. The Prada Marfa - This is about 40 minutes outside of Marfa in the town of Valentine. There is seriously nothing around it but it is totally worth the short drive if you're into great photo ops and oddities. Extra bonus points if you make your trip on Valentine's Day, like Markus and I did! Pizza Foundation - This pizza place was our go to. This trip was before we were gluten-free, so we tried the very awesome pizza, but they also have hearty salads. I got the frozen lemonade here almost every time. 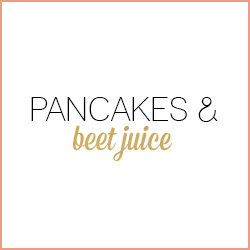 So delish! Cochineal - This indoor/outdoor brunch and dinner spot was a little piece of heaven on our first day in Marfa. I had a very memorable French Toast at one of the red outdoor picnic tables. The service was extremely friendly. The Get Go - This is the little grocery in Marfa that fueled many of our excursions, snacks and breakfasts. Think more along the lines of a mini Whole Foods or Sprout's instread of a Quickie Mart. We scooped up Kettle chips, Amy's burritos, kombucha tea and other favorites from home here all weekend! Frama @ Tumbleweed Laundry - You might not expect coffee from a place that is also a laundromat to be awesome, but it is in Marfa. Most of our activites were fueled by iced dopios from Frama. I love their logo, which is a fun take on clothing care instructions, and the menu board made of Scrabble tiles is adorable. So if you find yourself headed to Marfa, you now know all the places that made this trip so special and memorable for Markus and I. A perfect balance of adventurous and relaxing, we still bring it up as one of our favorite things we've done years later. Markus says it's the best Christmas present he's ever received! What do you think of Marfa: dream vacation away from it all or crazytown in the middle of nowhere? Lilly... what a great post! 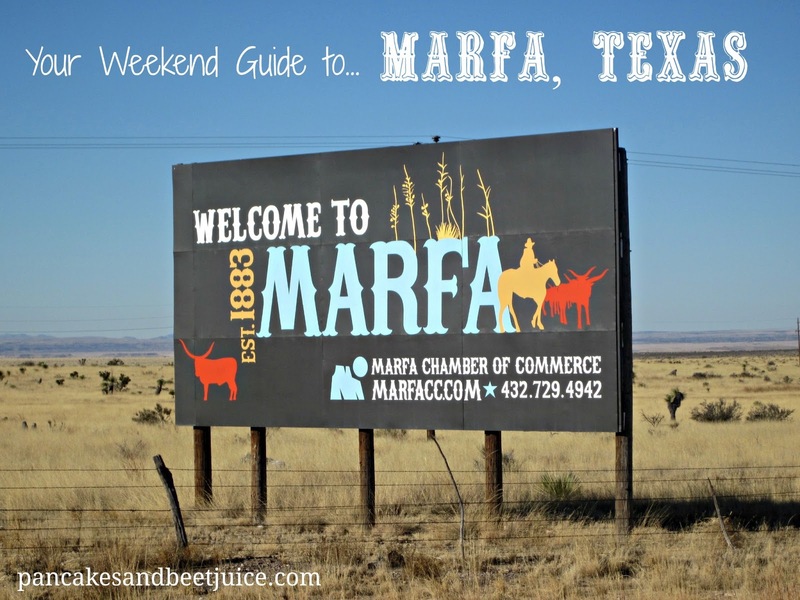 I have never heard of Marfa but looks like a fun place. LOVE the video!! Don't miss the Wrong Gallery. Holland hotel is one of the most renowned hotel with best services being offered also love the neighboring travel places. Your trip looks amazing. You have an enjoyed a lot. Holland Hotel is one of the most famous hotels for staying. I personally stay in this hotel before my grand canyon bus tour from la. I really enjoy the good service of Holland hotel.